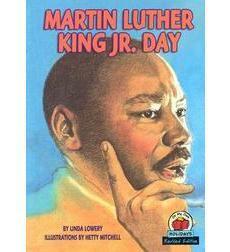 Dee reads Martin Luther King Jr. Day by Linda Lowery in readiness for our celebration on Monday, January 16th. River students will also be watching The Boy King, a drama focusing on young Martin Luther King Jr.'s early encounters with prejudice and how the love and courage of his family moved him to speak out against segregation. Our Ten Nominated Books - Take a Look!